As you all know, Uffie's album is coming out this month. We know, we know. (Holy crap, thank gawd, its about damn time). 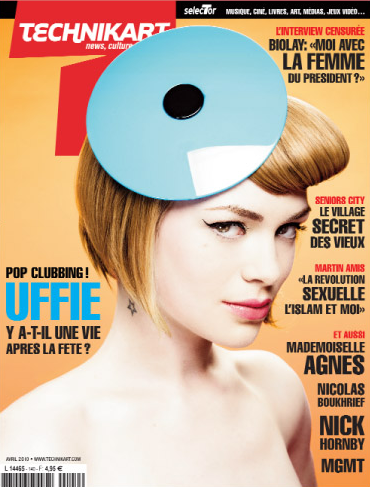 Anywho, Uffie was on the cover of the french magazine, Technikart. She looks lovely doesn't she? Can't wait for Uffie's album this month!